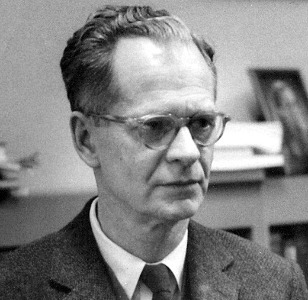 One of the most eminent figures in the history of psychology, Burrhus Frederic (B.F) Skinner's advocacy of radical behaviorism and the experimental analysis of behavior were profoundly influential. 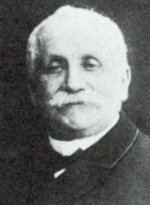 Within his groundbreaking body of work, 'Behavior of Organisms' (1938) and 'Verbal Behavior' (1957) are widely considered major contributions to human thought. 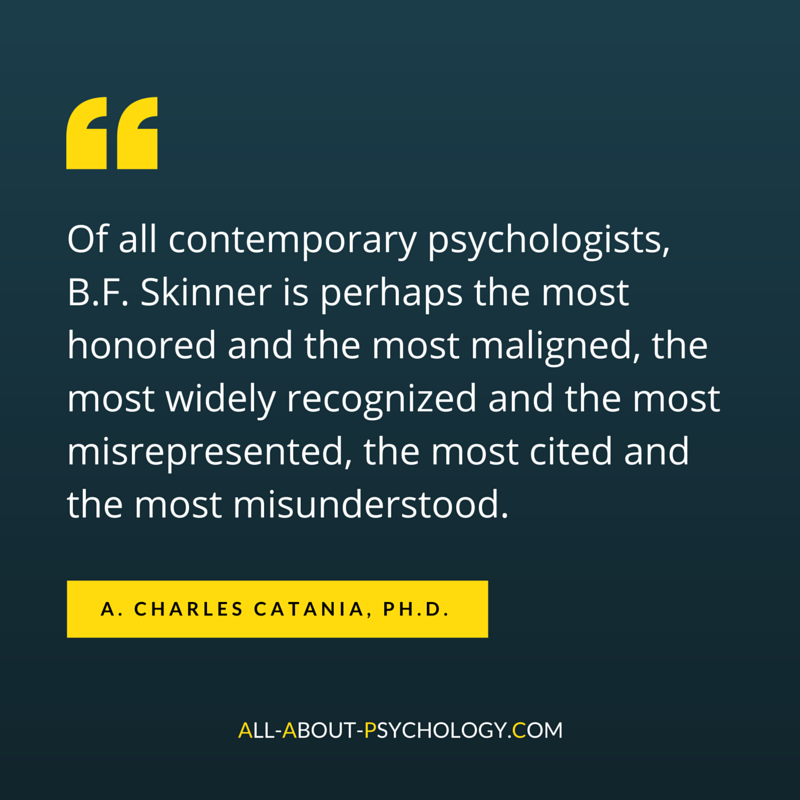 Among the numerous awards and honors conveyed on him throughout a remarkable career, B.F Skinner was the recipient of the Humanist of the year award in 1972 and received the American Psychological Association's Award for Outstanding Lifetime Contribution to Psychology in 1990. 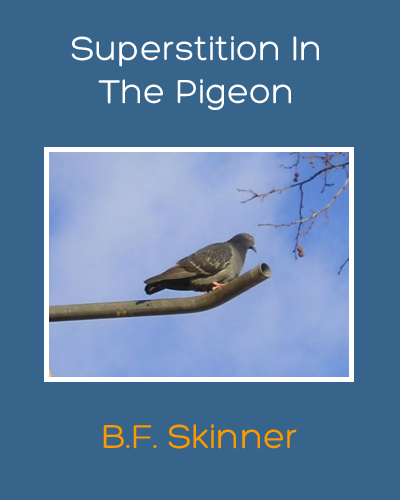 B. F. Skinner self-published his classic book 'Science and Human Behavior.' 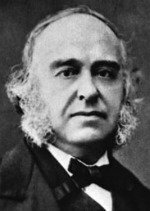 Originally printed as a teaching resource for his Natural Sciences course at Harvard; this groundbreaking text includes one of Skinner's earliest accounts of the similarity between operant selection and Darwinian natural selection in phylogeny. The Macmillan Company published the first formal edition of Science and Human Behavior in 1953. At a ceremony at the White House, President Lyndon B. Johnson presented B. F. Skinner with The National Medal of Science, "For basic and imaginative contributions to the study of behavior which have had profound influence upon all psychology and many related areas." 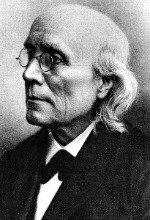 The National Medal of Science is the United States Government's highest award for distinguished achievement in science. 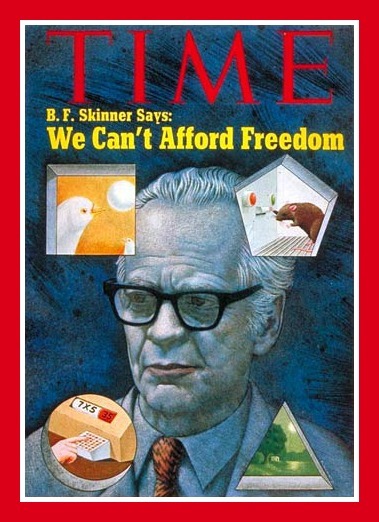 B. F. Skinner is featured on the front cover of Time magazine and is the subject of three cover stories on behavior, titled 'Skinner's Utopia: Panacea, or Path to Hell?' 'Twin Oaks: On to Walden Two' and 'A Skinnerian Innovation: Baby in a Box.' The brilliant cover image of Skinner was drawn by renowned artist and illustrator Don Ivan Punchatz. One of the most enduring rumors surrounding the work and life of B.F. Skinner was that he raised his daughter Deborah in an experimental box so that all her needs could be controlled and shaped; experiences that were said to have resulted in her having a psychotic breakdown and committing suicide. In order to set the record straight, not least to show that reports of her death had been greatly exaggerated! Deborah Skinner wrote an article for the Guardian newspaper in 2004 which you can read in full HERE. What Was B. F. Skinner Really Like? Would you be surprised to learn that B.F. Skinner was a very likable guy and that you may actually be very much in agreement with his ideas? Many people who study psychology have a negative impression of Skinner. Well, I’m about to challenge those impressions by presenting a side of Skinner you probably haven’t been exposed to. In these sound bytes you’ll hear his ideas about learning to play music, about discovery, having fun and becoming the most that you can be. You can listen to this excellent podcast on B.F. Skinner by clicking HERE. This learning theory classic demonstrates how accidental connections between a ritual and favorable consequences can establish and maintain superstitious behavior. You can read this B.F. Skinner article in full for free via the following link. Great video by Trystan Young featuring Skinner's concept of the reward schedule. 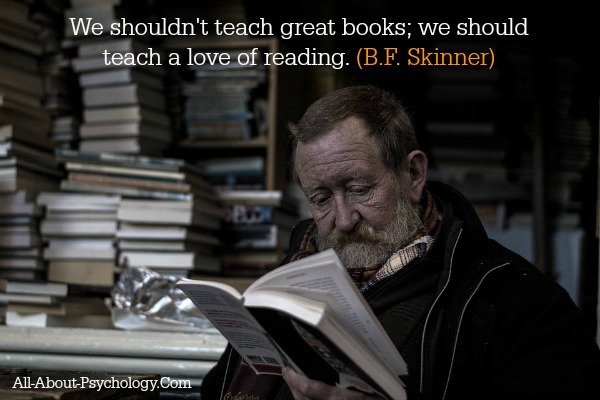 B.F. Skinner (1904-1990) is one of the most famous and influential figures in twentieth century psychology. A best-selling author, inventor, and social commentator, Skinner was both a renowned scientist and a public intellectual known for his controversial theories of human behavior. Beyond the Box is the first full-length study of the ways in which Skinner's ideas left the laboratory to become part of the post-war public's everyday lives, and chronicles both the enthusiasm and caution with which this process was received. Using selected case studies, Alexandra Rutherford provides a fascinating account of Skinner and his acolytes' attempts to weave their technology of human behavior into the politically turbulent fabric of 1950s-70s American life. To detail their innovative methods, Rutherford uses extensive archival materials and interviews to study the Skinnerians' creation of human behavior laboratories, management programs for juvenile delinquents, psychiatric wards, and prisons, as well as their influence on the self-help industry with popular books on how to quit smoking, lose weight, and be more assertive. 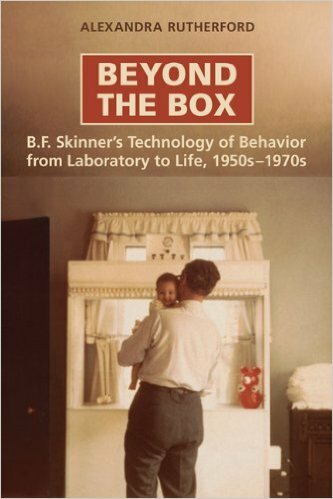 A remarkable look at a post-war scientific and technological revolution, Beyond the Box is a rewarding study of how behavioral theories met real-life problems, and the ways in which Skinner and his followers continue to influence the present.